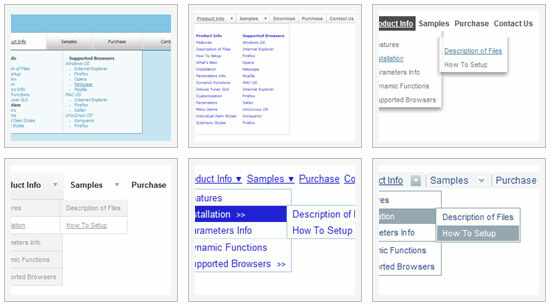 Q: Do the Vista style menus support a separator? It seems to add some space but the separator line is not drawn. A: Yes, you can paste a separator in the Vista style menus. It has helped somewhat but there still is a gap between the left side and the image icon. Is there any other parameter I can alter to push it more to the left? 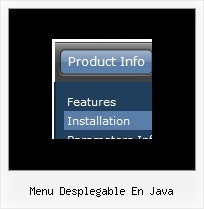 Q: However,I am trying to create a menu like<http://deluxe-tree.com/data-samples/tree-menuxp3.html> and amfrustrated. Where can I get a template or instructions on which parameters I ammisunderstanding in deluxe tuner? I want a menu with the expandable + signs on the left which will expandon rollover and allow only one to be expanded at the same time. Try to do it in the new Deluxe Tuner beta version. We've fixed somebugs with these parameters in the new version. 3 Ago 2010 ... El desplegable de "acciones" muchas veces aparece demasiado hacia .... En el menú de acciones es donde se encuentra "Invitar foto a grupo"